2. Adding hosts to “/etc/hosts” file on every host. [root@node1#~]# ssh-keygen Generating public/private rsa key pair. Enter file in which to save the key (/root/.ssh/id_rsa): Enter passphrase (empty for no passphrase): Enter same passphrase again: Your identification has been saved in /root/.ssh/id_rsa. Your public key has been saved in /root/.ssh/id_rsa.pub. The key fingerprint is: e4:4e:e6:9d:02:c6:a7:ab:8a:79:74:70:a8:a1:33:9a root@INPUNPCLX1537E The key's randomart image is: +--[ RSA 2048]----+ | | | | | . . | |. o .. o | |.o o + S | |= . .. O . . | |.= . . + o | |Eo. . . | |o...... | Authorization for ssh to any data node from access node, follow below steps. [root@node1#~]# ssh-copy-id -i /root/.ssh/id_rsa.pub INPUNPCLX1825E.xyz.com Warning: Permanently added 'inpunpclx1825e.xyz.com,172.29.79.124' (RSA) to the list of known hosts. root@node1# password: Now try logging into the machine, with "ssh root@node2#", and check in .ssh/authorized_keys to make sure we haven't added extra keys that you weren't expecting. Authorization for ssh to any data node from access node, follow below steps. Warning: Permanently added 'inpunpclx1825e.xyz.com,172.29.79.124' (RSA) to the list of known hosts. 9. Run the below command for setting up Ambari Server and select the right options as given in the screenshots. root@node1#ambari-server setup let complete the setupit will ask for SELinux is set to ‘permissive’ mode and temporarily disabled.OK to continue [y/n] (y)? y Enter choice (1): 1 (select according to requirement of jdk)Do you accept oracle binary code license Agreement [y/n] (y)? Y Enter advanced database configuration [y/n] (y)? n (select according to database base requirement // but by default it will install PostgreSQL) After that it will show “Ambari server ‘setup’ completed successfully”. Enter advanced database configuration [y/n] (y)? n (select according to database base requirement // but by default it will install PostgreSQL) After that it will show “Ambari server ‘setup’ completed successfully”. root@node1#Ambari-server startAfter showing ambari-server is running move to the next steps. 11. Once the Ambari server is started on the CLI. You have to start the Ambari GUI on browser. You need to specify the host name and port number 8080. Check the screenshot for more details. Use the username-“admin” & password-“admin” for login. 12. Click on “Launch install Wizard” to start with the HDP deployment. 13. You need to provide a name to the cluster. 14. Select thee right HDP stack. In this case we are going to deploy HDP 2.3. Here, You need to provide the FQDN’s of all the Hosts you want to include in your cluster. Please refer to the screenshot example to complete this step. 16.1. 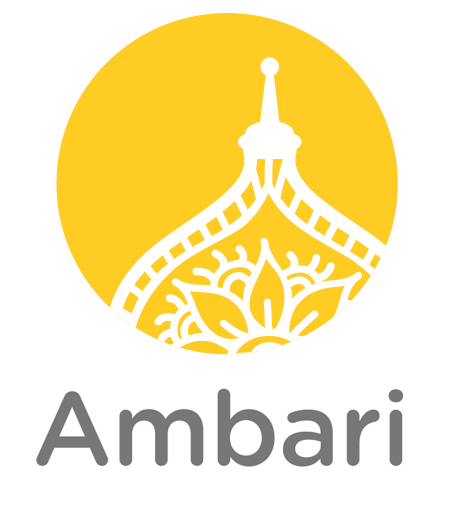 To install Ambari agent manually on all the hosts in the cluster. 16.2. Download the Ambari repository file to a directory on your installation host. 16.3. Confirm that the repository is configured by checking the repo list. 16.4. Install the Ambari Agent on every host in your cluster. 16.6. Start the agent on every host in your cluster. 17. Confirm Hosts prompts you to confirm that Ambari has located the correct hosts for your cluster and to check those hosts to make sure they have the correct directories, packages, and processes required to continue the install. In this step we need to choose all the services which we need to install in the cluster. In this step we need to specify the Hosts on which we want to install the Master and Slave services. We need to finally review all the selection we have made and click on deploy. 19. After that customize service window will appear. 20. Create the JDBC connection by following below command. Note- path for this directory postgresql-9.3-1101-jdbc4.jar will be different for your server. 21. Add service winzard window will appears. Just click on deploy and continue. Click on next once all the installation on the all the Hosts is complete.